Rich’s practice focuses on corporate and securities law, commercial litigation and government regulation, particularly in the areas of gaming and beverage alcohol, licensing and compliance. He has represented casinos, racetracks and the New York Gaming Association in matters relating to financing, licensing (New York, Kentucky and Colorado), mergers, joint ventures, acquisitions and regulatory matters. He has been actively involved in the bid process for the licensing of casinos in New York. Rich also represents numerous clients in the beverage alcohol industry including wholesalers and retailers, counseling on compliance and licensing with the New York State Liquor Authority (“SLA”). He has represented numerous clients in disciplinary matters at the SLA and also was involved in the defense of licensees in the New York State Attorney General’s investigation of the wine and liquor industry. Rich has represented publicly traded companies in securities matters including corporate governance and compliance under Sarbanes-Oxley. He has also represented investment bankers, investment advisors, and investment companies in security-related transactions under the 1933 and 1934 Acts, including Regulation D transactions. He has many years of experience representing individuals, businesses and pension plans at FINRA Arbitration proceedings involving suitability, churning, fraud, misrepresentation and failure to supervise. 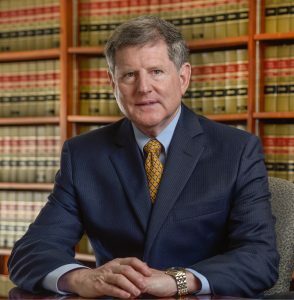 In Rich’s intellectual property law practice he has defended clients against copyright and trademark infringement and unfair competition claims, and in his labor and employment law practice he has represented clients in both the public and private sectors in negotiations, contract administration and proceedings before the NLRB, PERB and SLRB. Rich also has experience in complex lending and commercial transactions, representing borrowers, lenders, buyers and sellers in both transactional and commercial litigation. Rich served for many years on the Board and as Chairman of the Capital District Chapter of the National Multiple Sclerosis Society.